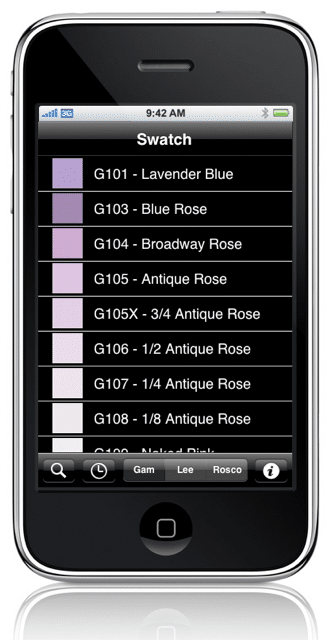 The Gel Swatch Library gives you multiple ways to find the perfect color for your production. Scroll through lists of gels made by each manufacturer, or search for a specific gel name. Spectral Energy Distribution curves and CMY/RGB percentages listed for each color provide the vital data you need to create breathtaking scenes on stage. Examine similar shades with the Gel Swatch Library’s side-by-side comparison window, where you can also compare complementary colors to find different shades that go together perfectly. The library’s easy-to-use interface condenses the swatch books that lighting pros have used for years — putting a wealth of knowledge onto a device that fits in your pocket. 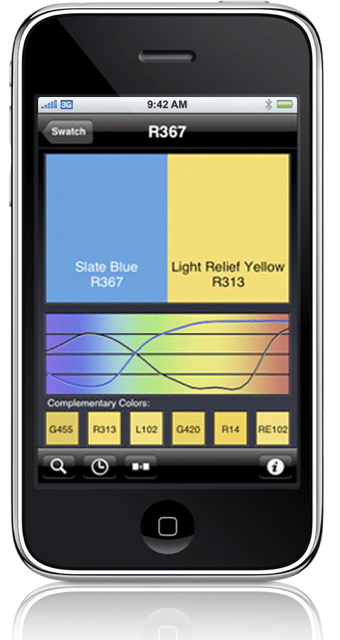 The Gel Swatch Library runs on any iPhone and iPod touch and can be purchased through Apple’s App Store. Just click on the App Store icon from the main screen of each device, or access the App Store through iTunes. Get a copy of the Gel Swatch Library from Wybron in the iTunes store, or by clicking here. 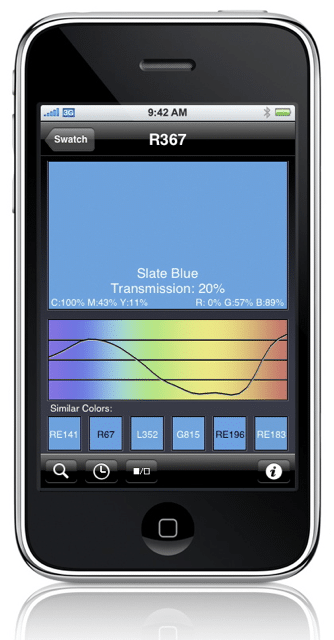 This is indeed a great app, there is a full review of this program at http://www.techietalk.co.uk/2009/03/23/articles/gel-swatch-library-review/ in case anyone is thinking of purchasing a copy. Might help a few people make a decision.